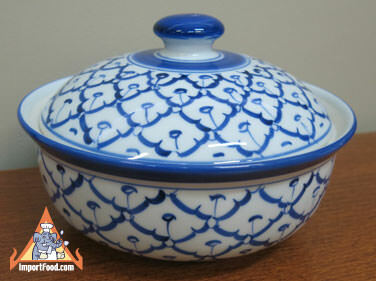 Handpainted ceramic serving bowl with handpainted lid, imported from Thailand. 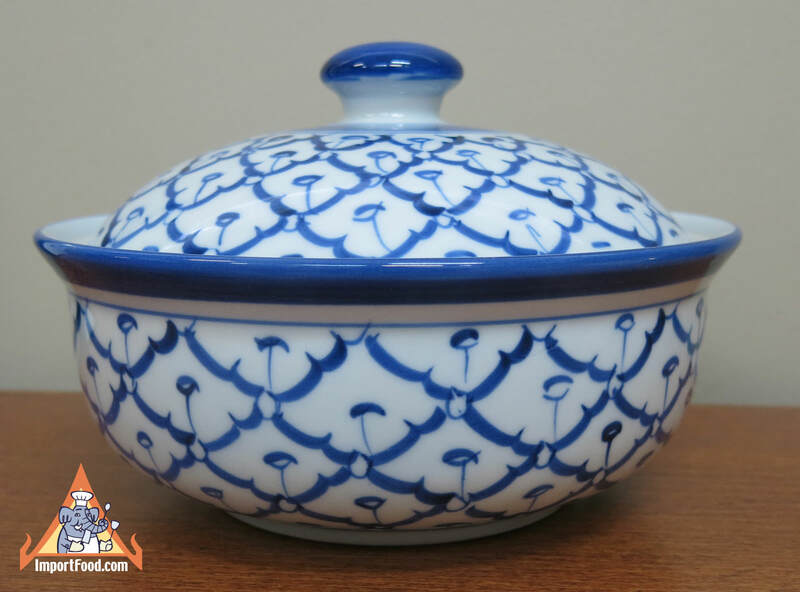 Vivid blue color and clean white, high quality heavy ceramic. Each piece is painted by hand using a traditional design unique to Thai artisans. 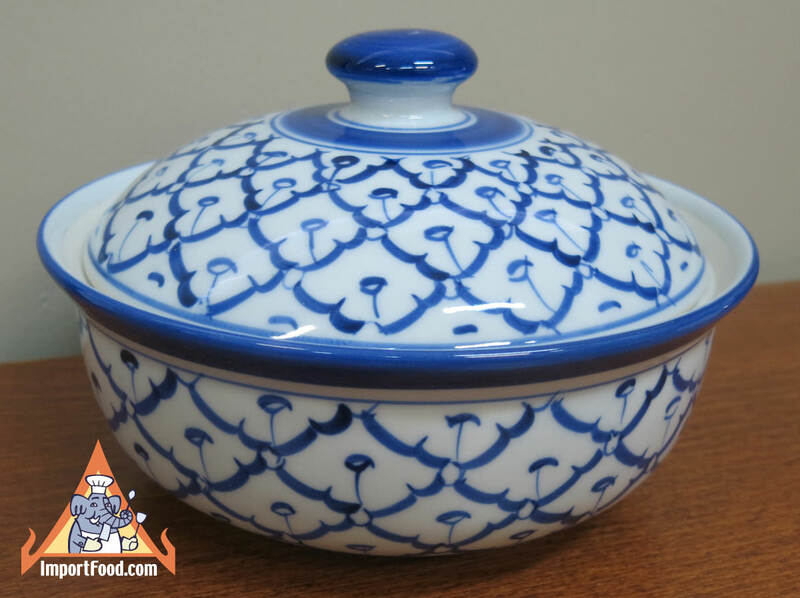 Can be used to serve your favorite Thai dish (soup, noodles or rice), or it works great for any American-style casserole dish. The 7" size is just perfect for serving a dish to a small group, 6" is a serving for two, 5" is perfect for individual. Certified for use in microwave or conventional oven, as well as dishwasher-safe. Each piece will arrive in perfect condition as we place a great importance on packing methods. Made in Thailand.